The VaMoS workshop will be held at the Domäne Marienburg, one of the campuses of the University of Hildesheim. 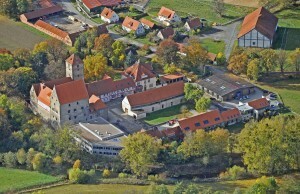 Aerial image of the Domäne Marienburg. You can use the address above also for navigation-systems. In case that your system requires a street number, you can use Domänenstraße 1. 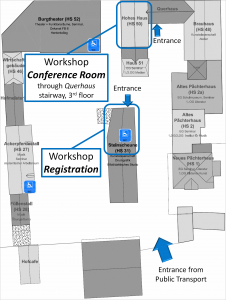 The registration will be in room HS31 in the building Steinscheune. 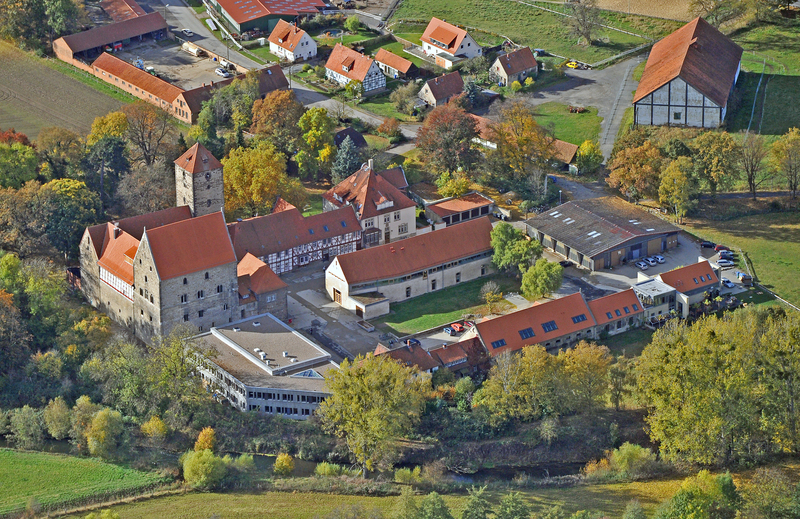 The building is located in the middle of the yard of the Domäne Marienburg. The entrance is on the opposite of the building when entering the yard (see Layout of Domäne Marienburg below). The main room for the workshop will be Hs 50/302 in the building Hohes Haus, which you can reach by the entrance of Querhaus and following the stairs to the third floor. Workshop-signs will guide you the way. Layout of the Domäne Marienburg with workshop places. 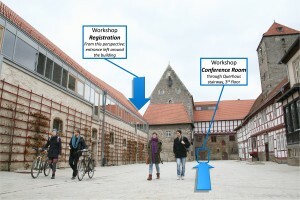 Inner yard of the Domäne Marienburg with workshop places.